Now that both wedding and festival seasons have arrived, new fashions and trends are SPRING-ing up everywhere! I must admit, I change my hairstyle as often as I change my clothes and the one accessory that has me glowing are flowers! 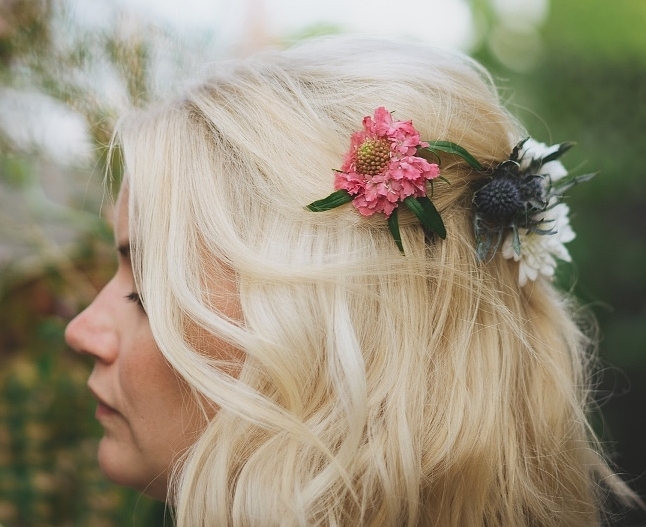 Placing flowers in your hair will brighten up your style and it's pretty simple to do. Here are some colorful tips on how to decorate your head with the best buds of the season! 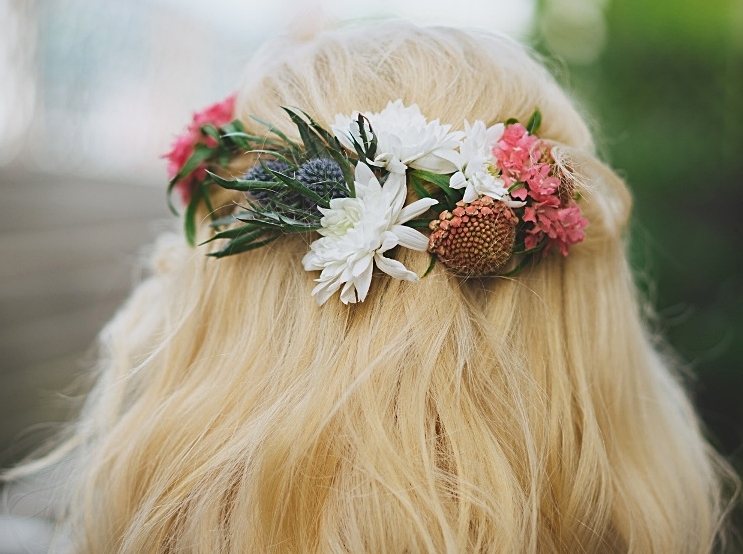 HOT NEW TREND: DECORATE YOUR HAIR WITH WILDFLOWERS AND HERBS! Go into your local florist shop (or even grocery store) and pick the flowers you want. You'll need a bunch of bobby pins too! You will want to grab flowers that will compliment your outfit and that aren't too heavy. Buds that will be light on your hair will look more dainty. My personal favorites are Daisies, Ranunculus, and Babies Breath. You can also choose herbs such as Lavender, Artemisia, and Eucalyptus to put into your hair for a gorgeous green arrangement. Daisies- known to have a long flowering season, these beauties offer a delicate and dainty addition to your head! Ranunculus-Pinks, purples and oranges are the hues for this flower. Long lasting and beautiful! If you're looking for more of a subtle color, they do come in paler shades as well. Babies Breath- a flower that represents "Everlasting and Undying love", it's the perfect accessory for any spring fling! Artemisia- nicknamed from the Greek Goddess "Artemis", this herb is strong in odor and only blooms between early July and late August. So fresh and so clean! Lavender-part of the mint family, lavender gives a gentle feel with a soft fragrance. Eucalyptus-these evergreen leaves will help you if you haven't washed your hair for a few days. Weave a few of them and it will help with the odor! *Wondertip: When searching for the right flowers, choose ones that have a half-moon shape profile so that the base will lay flat against your head and not stick out too far. The Novack Family Easter Traditions!